Posted on November 4, 2008 at 4:48 pm. I was right about the line. The city block length line was consistant about all day long. 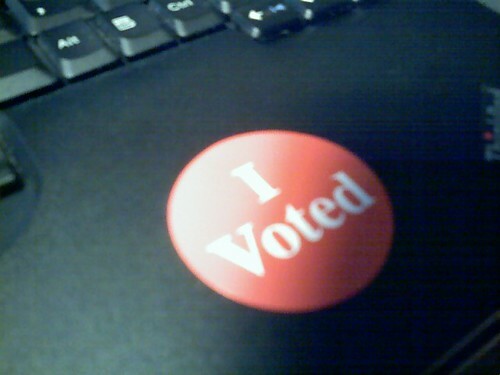 It took me an hour to get through, as someone who was doing same-day registration (wich I love Minnesota for btw). There were also a few news crews covering the line because the of extraordinary young voter turnout. Now it’s the wait till the results come pouring in!